The FHA Streamline is a faster, simplified way to refinance your mortgage. Mortgage financing can be complicated, but with this program, you are able to go from an FHA-backed mortgage to another FHA-backed mortgage with less paperwork, fewer qualification details, and (generally) much less time from the start of the process to loan delivery. FHA Streamline Refinancing is only available for current loans that are insured by the FHA. In other words, to even be eligible, the first requirement is that your current mortgage needs to be an FHA-supported loan. This makes it easy for borrowers to qualify for this form of refinancing, as the agency already backs their current loans. Not only must the current loan be supported by the FHA, but the new loan will be as well. FHA Streamline Refinancing loans are intentionally designed to be a simple as possible. One of the ways the FHA achieves this goal is through the reduction of qualification steps, making the approval process relatively easy. Because you already have an FHA loan, such as a 203(b) or 203(k) loan, the thought is that the FHA already has your information; it would be redundant and wasteful to verify it all over again. For qualification, there will be no verification of job status, income, or credit. You will not need to provide information from your bank or investment accounts, and lenders will not need to go through the time-consuming and costly step of pulling your credit. Like other FHA loans, the FHA Streamline Refinance is also available for manufactured homes. Depending on the situation, they may or may not be available for second homes (such as vacation homes or investment properties). Questions about the FHA Streamline Refinance program? One of the main requirements for FHA Streamline Refinancing is that your existing mortgage must be current. If your mortgage is delinquent, you will not be eligible for the program. However, if you make efforts to get your existing mortgage off of delinquency, you may become eligible for the program. To be approved, the new Streamline loan will have to have to give you a “net tangible benefit.” How this is determined will depend on many factors, including the type of loan being refinanced, the interest rate comparison between the existing and new loans, and the terms of the new loan. 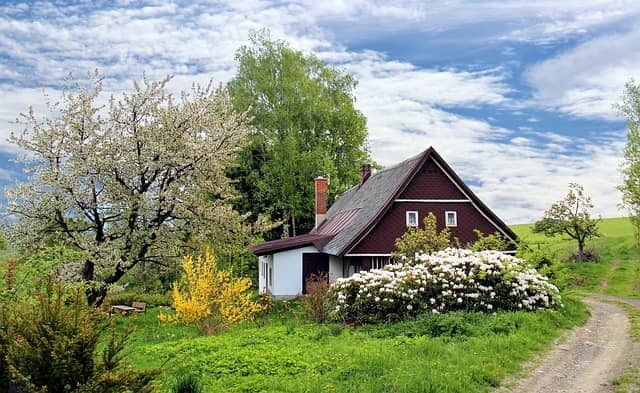 If you have significant equity in your home (you own more than you owe), you can do what’s called “cash-out refinancing.” However, this option is not available with FHA Streamline Refinancing. A cash-out refinance is when you refinance the current loan for more than you owe and take out the difference in cash. Essentially, it is a way to turn the equity you have built through past payments into readily-available money. If you want to do this, you’ll have to find another option, such as a conventional loan. There is an option for cash-out refinancing through the FHA. This is essentially a government-sponsored home refinance program that helps you turn home equity into funds for home improvements or paying off consumer debt, among other options. There are basically no restrictions on what you can use the money for, making it an ideal alternative for some homeowners. It should be noted that this is not a Streamline option. If you currently have a 30-year FHA mortgage, can you use the FHA Streamline Refinance program to refinance into a 15-year mortgage loan? The answer is no. Unfortunately, the Streamline Refinance program only permits borrowers to refinance into a loan that is the same term or a longer term. Can You Refinance an FHA 203k loan with an FHA Streamline Refinance? If you already have an FHA 203k loan for home rehab, can you refinance it using the FHA Streamline Refinance program? In most cases, the answer is yes. However, for your property to be eligible for this, all rehabilitation and renovation work must be complete.